Our teacher trainers have designed a customized course based on their own experiences with TEFL/TESOL courses, educational training and years of classroom contact. In addition to the actual course content, teachers will assess the specific needs of the trainees and include tailored workshops as necessary. 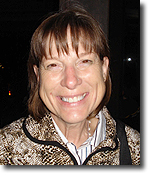 Barbara is originally from California and has lived in Costa Rica since 1999. 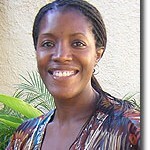 She has a double Bachelors degree in Psychology and Multicultural and Gender Studies. She has participated in a number of Second Language Acquisition seminars through Cambridge University, New England Language School and others. She holds a Masters in Educational Administration, and a Masters in TESOL. In July of 1999 she assumed the position of English Department Director at Intercultura, where she was in charge of professional development, curriculum design, teacher training and observations, as well as teaching, her real passion. In order to better train the teaching staff, in 2005 she began Costa Rica TEFL while continuing at Intercultura. In June 2008 she decided to dedicate her time fully to Costa Rica TEFL in Playa Samara. In addition to training TEFL teachers, she is often invited by the MEP (Ministry of Public Education in Costa Rica) to lead workshops in classroom management and the use of multiple intelligence activities in the EFL classroom. In February of 2016 until April 2017, she did a sabbatical in the US where she taught refugees ELL classes for the YWCA, an amazing organization. In her free time she enjoys spending time with her family and exploring beautiful Costa Rica. 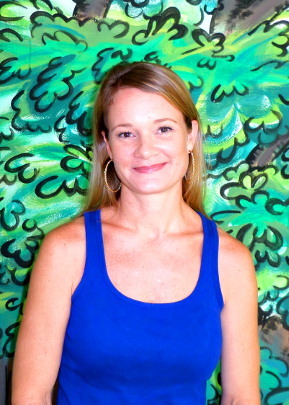 Margaret is originally from North Carolina and moved to Samara in 2013 to complete her TEFL certification. She then went on to complete her Bachelor’s Degree in Liberal Arts from Arizona State University and is currently obtaining her Masters Degree in International Education at Framingham State University. In the past five years, she has taught English for Crear, the local non-profit afterschool program, done some online teaching, as well as taught English at the Universidad Nacional de Costa Rica. 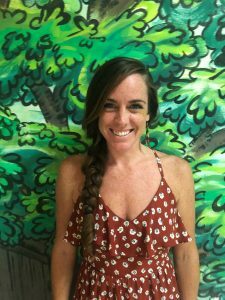 When she is not teaching, she enjoys doing yoga, surfing, writing, reading, and spending time on the beach with her dog, Jack. Kathie grew up in Virginia. She earned both her B.A. in English and M.A.T. in TESOL from James Madison University. She holds a teaching license in PreK-12 ESL. From 2010-2012 she taught EFL in public elementary and middle schools in northern Japan. While she was earning her master’s degree, she taught an undergrad health publication writing course at JMU. In 2015 she taught hospitality English to adult learners in Cusco, Peru. 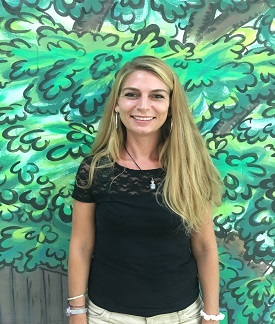 Most recently, she taught EL English and literacy for two years at a high school in Virginia to students from Central America and the Middle East. She has experience working with students with learning differences, and has a special interest in the social-emotional needs of immigrant English learners. 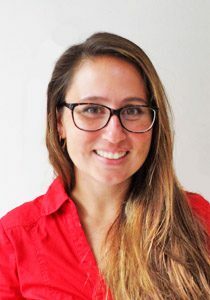 She moved to Costa Rica in 2018 to join the Costa Rica TEFL team. When Kathie isn’t teaching she likes to run, write, and travel. Lexi is originally from Rhode Island and is in the process of earning her Bachelor of Arts in Art History with a minor in Italian from The University of Rhode Island. 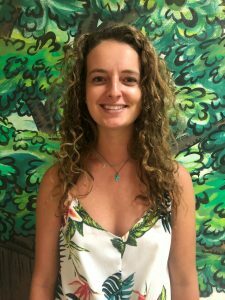 Upon completing her TEFL certificate with Costa Rica TEFL, she has taught EFL at the Universidad Nacional de Costa Rica and online to students of varying nationalities. She decided to stay put in Samara and is now our administrative coordinator and a teacher for our beginners class on Saturdays. When she isn’t in the office you can find her working on a new art project, in the ocean, or on the hunt for new scenery. 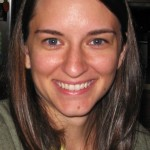 Jennifer is originally from Boston where she earned her Masters Degree in English Composition, as well as her Initial Teaching License from The University of Massachusetts. While completing coursework for her Teaching License in Secondary Education, she worked as an ELA Teacher in an 8th grade classroom at a Public Exam School in Boston. There, she developed a passion for teaching ESL students and was able to receive her English Sheltered Immersion Endorsement in May of 2016. She has worked as a private English tutor, as well as a tutor to freshman students at The University of Massachusetts. Prior to that, she spent several years working for the Massachusetts Teachers’ Retirement System, where she had the opportunity to meet with teachers and counsel them about their retirement benefits. She received her TEFL certification from Costa Rica TEFL and loved it so much that she decided to stay in Samara! She is a 200-hour registered Yoga Instructor, and in her free time, loves to do yoga, read, write, and spend time with family and friends. Vanessa is originally from Chicago where she earned her Masters Degree in Education with English and ESL endorsements from Quincy University. While completing university, she worked as a teacher’s assistant and tutored ESL adults and children in an after school program. Her years of teaching English in Chicago to middle school and high school ESL students inspired her to move to Latin America. In 2012, she moved to Costa Rica, fell in love with the people, culture and climate, and now considers it home. In Costa Rica she taught in bilingual schools for 5 years, and found a passion for mentoring new teachers. She also has taught all levels of EFL from beginner to advanced at Centro Cultura de Idiomas. When Vanessa is not in the classroom, you can find her lounging by the beach, traveling, riding her bike or camping. Julia is originally from England, where she gained her Masters Degree from The University of Birmingham. She taught English and physical education for 9 years as well as coordinating business and enterprise education in schools. Throughout that time she participated in, organized and delivered a variety of teaching workshops; including vocal training for newly qualified teachers, active reading strategies, positive behavior management and accelerated learning techniques. She later became involved in teaching adult learners with a focus on adult literacy and teaching students with specific learning needs. Her arrival in Costa Rica in 2007 saw her take on her new role as a language teacher at Intercultura. Here she further developed her experience teaching English in a variety of context, including one to one private tutoring, group instruction, English for specific purposes and online language learning. She has experience in communicative language teaching, syllabus design and language learner assessment. Her particular areas of interest are classroom management and language teacher and learner motivation. Arin is originally from New York. She earned her B.A at the University of Florida where she focused on Anthropology and Teaching English as a Second Language. After relocating to Colorado, she discovered her passion for the outdoors and teaching. 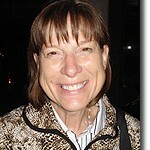 She studied at the University of Colorado, Denver to complete classwork for her teacher license in Elementary Education. She continued on with her schooling to receive her Masters in Arts in Curriculum and Instruction and add to her license an endorsement in Linguistically Diverse Education. Arin has worked with English Learners in Elementary and Middle School. She has also taught university classes in Literacy and Language in an alternative teacher licensure program. 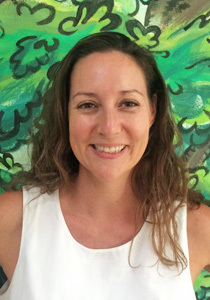 She originally moved to Costa Rica in 2007 and developed the English Language program at the Cloud Forest School in Monteverde. She returned to states for 7 years where her teaching and learning focused on literacy development for English Learners and positive behavior support. She moved back to Costa Rica in 2014 with her family and happily works and lives in Playa Samara. Christina is most recently from Chicago, IL and has lived in Los Angeles, San Francisco and Mexico. She received her Bachelors of Arts with a theater concentration from Colombia College Chicago, and her Master’s in Applied Linguistics from the University of Illinois in Chicago. Her prior professional and academic experiences motivated her to learn more about Latino culture and the Spanish language. 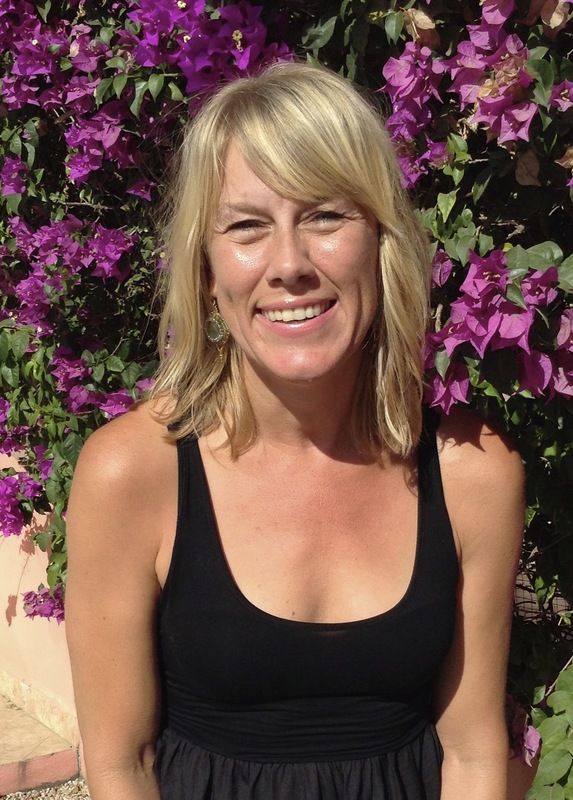 Inspired to expand her horizons, she moved to Mexico and completed a TEFL Certification program. Immediately upon graduation, Christina began teaching at Instituto Tecnológico y de Estudios Superiores de Monterrey in Puebla. She fell in love with teaching and decided to make a career out of it. She returned to the states, received her masters and continued teaching English at Purdue University Calumet, Loyola University, and Universidad Nacional Autónoma de Mexico (UNAM). Additionally, she was the English Department Chair for UNAM for two years. 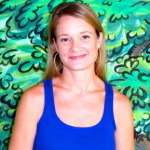 Christina moved to Costa Rica and joined the Costa Rica TEFL team in December 2014. When Christina isn’t teaching she is practicing yoga, biking, dancing Zumba and cooking with friends. Gregory is originally from New York. He earned his Bachelors degree from Flagler College (a quaint liberal arts college in St. Augustine, FL). Focusing on English Literature and Creative Writing, Gregory’s interest in language was primarily artistic. 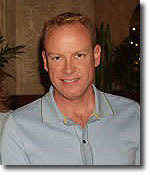 As these interests broadened, Gregory went on to study language and representation within the Interdisciplinary Humanities Department at Florida State University. With a concentration in Modern Intellectual History, Gregory taught classes such as Multicultural Film, Cultural Imperialism, and Modern Humanities within the Interdisciplinary Humanities Department at FSU. He earned his Masters degree in Interdisciplinary Humanities in 2008. Upon earning TEFL certification at Oxford Seminars’ Manhattan campus, Gregory entered Western Carolina University’s TESOL graduate department. While teaching within the Intensive English Program at WCU, Gregory earned his TESOL Masters degree in 2013. 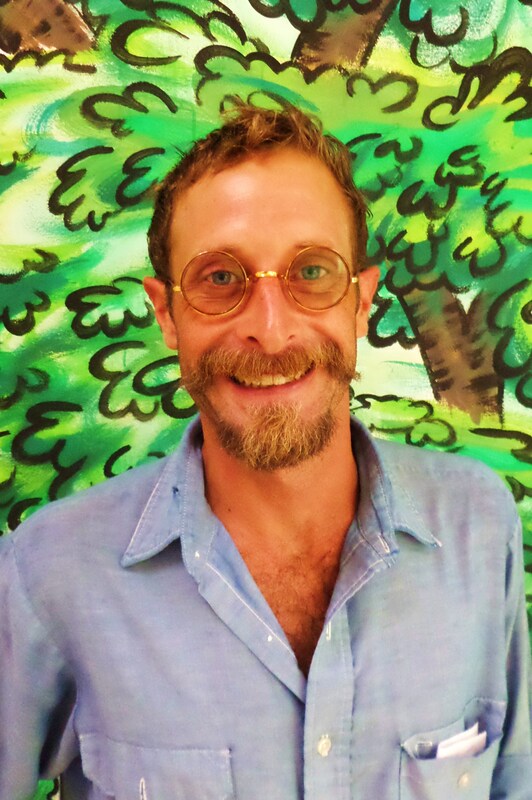 A family man, practicing musician, avid surfer, and ESL enthusiast, Gregory moved to Costa Rica in 2014. Vanessa is an Arizona-native and Colorado-transplant. She’s lived and taught in Costa Rica since 2010. She graduated from The University of Northern Colorado with a degree in English and an emphasis in Secondary Education. She holds a professional teaching license through the Colorado Department of Education. She has taught English in a variety of settings for the past 10 years. 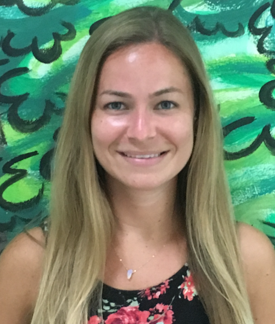 Most notably she has taught for the past 5 years at The Country Day School in Escazu, Costa Rica where she was a teacher and technology coach. She has delivered trainings and workshops to educators on the benefits of using technology to engage students. Additionally she was the co-chair of the Language Arts Leadership team and Mentor program at CDS. Vanessa earned her Master’s of Education through Kennesaw State University with an emphasis in Instructional Technology and Educational Leadership. She currently lives in Playa Samara. She enjoys music, traveling, film, and relaxing on the beach with her dog, Mia. 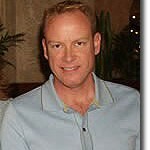 Matt is most recently from Portland, OR and grew up in Colorado. He received his Bachelors of Arts in Environmental Conservation from University of Colorado, Boulder,his Master’s in Education from Portland State University, and his TEFL certification from Costa Rica TEFL. Before beginning his teaching career Matt cooked for a living. He has cooked professionally for Wolfgang Puck and aboard an Eco-tourism cruise ship in Mexico and Alaska. After receiving his Master’s degree he joined the faculty at Le Cordon Bleu College of Culinary Arts. He taught Math, Computer Applications, Restaurant Management, and cooking classes for seven years before taking over as the Director of Education in 2011. He also has experience teaching science education at the Oregon Zoo and the Oregon Garden. Matt became a teacher because he enjoys creating a classroom environment that allows students to feel comfortable and flourish as learners. 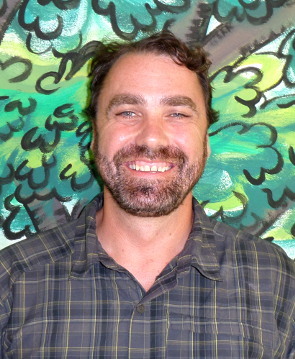 Matt moved to Costa Rica and joined the Costa Rica TEFL team in late 2014. When Matt isn’t teaching he is playing guitar and cooking. Catherine is originally from Michigan and has been teaching English as a Second Language both in the U.S. and abroad since 2005. Along with her Master’s in TESOL, Catherine holds undergraduate degrees in Spanish and English, and Compton P-ESL certification in Accent Modification. 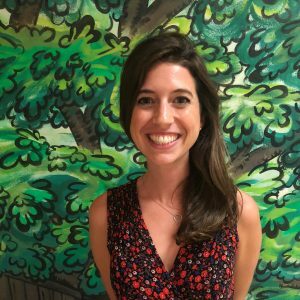 Before moving to Costa Rica, she was teaching and developing curriculum with the goal of helping immigrant and refugee students transition into higher-paid jobs. She’s also taught GED and Reading/Writing classes at the community college level and created specialized instruction for corporate students. In addition to inspiring TEFL trainees, Catherine is passionate about immersing herself in other languages and cultures. She moved to Costa Rica to escape the frigid Michigan winters and found paradise in the beautiful and welcoming community of Samara. Brookie is originally from Georgia where she began her teaching career working with students from inner city schools in Atlanta. She earned her bachelor’s degree from Georgia Southern University and, after teaching for a few years, decided to head back to the classroom where she earned her master’s in Early Childhood Education as well. Brookie’s interest in traveling lead her to Costa Rica. She loved the community of Samara and decided to move there full time. During her time training TEFL students at Costa Rica TESOL, she also worked with an elementary school in Samara teaching English. She currently owns a small business in Samara with her partner making natural popsicles with exotic flavor combinations. A native of Southern California, Dr. Streng received his undergraduate degree in journalism from the University of Missouri-Columbia, the oldest and most prestigious journalism school in the world. He received his Master’s in American literature, with an emphasis on applying linguistic strategies to decode written texts, from the University of North Texas, and his Master’s in education administration from Massachusetts’s Framingham State University as a participant in that school’s international program in San Jose, Costa Rica. Dr. Streng also holds a PhD in English from Middle Tennessee State University. After a twelve year tenure in Costa Rica, he currently resides with his wife and two children in Nashville. Fluently bilingual, he teaches Spanish at a private school located there, and lives part-time in Costa Rica where he imparts TEFL training courses. Victoria Schwarz graduated with a B.A. in Communications and English Literature, with an additional emphasis in Theology and Philosophy, from Lone Mountain College in San Francisco, California. 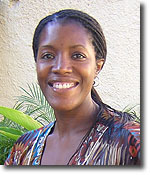 She received her Master’s in Education/TESL in 2008 from Framingham College, Massachusetts. She is completing her second Master’s of Education/TESL at the University of Costa Rica. Extensive international training led to work and experiences in several areas, including Criminal Justice, Life Coaching and the Healing Arts. She has created and operated several businesses, including the largest wholly-owned female car brokerage company in the state of California. Victoria has lived in Costa Rica for more than five years, doing a few businesses including teaching English as a Foreign Language (EFL), English as a Second Language (ESL), with an emphasis in English for Specific Purposes (ESP) as a contractor for language schools and numerous businesses and financial institutions in the San Jose area.